It is important to realize that this event isn’t about identifying a viable startup idea by crowning a winner, but a learning curve for all involved. The teams worked hard on their individual business plans for the final presentation, getting to a ‘proof of concept’ stage in just 54 hours. This normally takes months. The Exeter Startup Weekend, the third of its kind, returns this summer with its continued commitment to looking for ideas that could change the world. 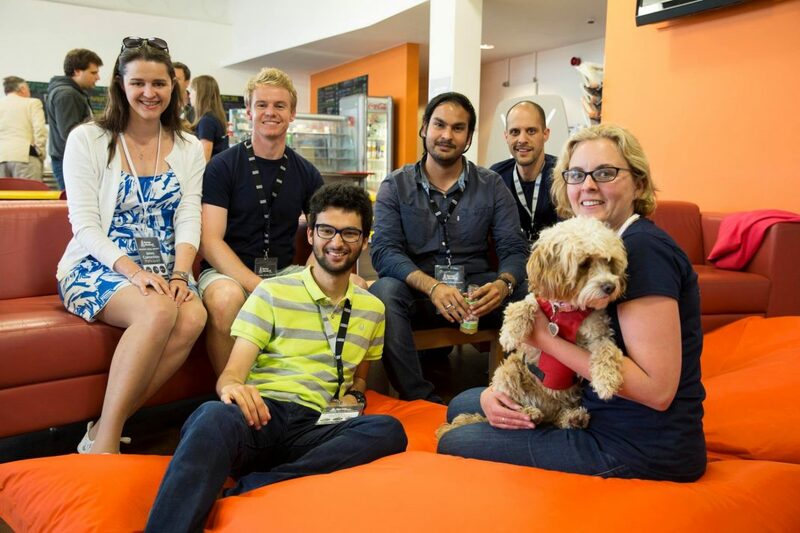 Set across three days (June 10th – 12th) in The Innovation Centre at the University of Exeter, the Exeter Startup Weekend will act as a hub for nurturing creativity, design and entrepreneurship. Exeter City Futures, in collaboration with the University of Exeter, The Innovation Centre and SETsquared Exeter are looking to target and create 10 new investible start-ups in Exeter by the end of the year. They are particularly interested in products and services that could enrich the quality of life and environment in our City. The Collaboration are looking for groups and individuals with fledgling business ideas to sign-up to the Start-up Weekend – a full weekend of pitching your idea, team working, business coaching and mentoring to take nascent ideas through to fully formed propositions. Any business idea can be pitched and developed during the Startup Weekend, however, Exeter City Futures is especially interested in encouraging new business ideas that respond to the needs of sustainable cities –specifically to realise the goals of zero congestion and zero carbon by 2025 namely in the areas of Energy Transport and Health. Exeter City Futures is offering a prize of an additional 6 month mentoring programme and possible investment for businesses that demonstrate scalable opportunities within these areas. The Innovation Centre and its SETsquared facilities will also offer prizes and continued support to those teams with the potential to create high growth businesses. A Beautiful Map – A beautiful map that provides rapid access to information for Movers. Team Agog – an app that lets you know how sustainable a product is. Webrowze – An app enabling simultaneous live, social web browsing with others. As a result of the excitement of my Streetsmart Beautiful map team coming second in Exeter’s first startup weekend. I have reflected on the event. First off I have to say the organisation and facilitation of the weekend was super good! The innovation center aids this by it’s modern feel. it encourages collaboration by being bright, open and airy. There was plenty of everything you needed to keep you going for 54 hours. The food from Pickle Shack was exceptional. This lets the judges decide whether your team has met the scoring criteria. The key to both pitches is following startup weekend pitching structure (more later). In fact once you’ve learned this structure it’s the key to organising your weekend. I was delighted that we achieved second place. I learned for myself that my ideas are as valid as anyones. And my beloved small project way of working where people cluster around a subject really works! That was such a personal validation for me! Once you’re selected as a project to work on then you form teams. This was awesome in that the teams were self selecting. I was exceptionally lucky to have a team of committed players. Who all contributed their skills and ideas. There’s something special that happens when people like a project and they gel it’s very exciting. There were moments of stress but also great humour and humility too. The whole team were lovely people and I hope they got as much from the experience as I did. It may not seem much but 54 hours of focus on one thing is exhausting. I was very grateful for Monday off (that’s tip no.1)! I’m sure the rest of the team can add many more things to this list. I can’t say enough how much I enjoyed this weekend. Flexing my brain with really nice, smart people in a fab venue what could be better. I would strongly reccomend this weekend to anyone thinking of starting something up. The next one in Exeter is on November 20th. See you there! You can’t start a fire without a spark or so the song goes. I can’t tell you how excited I am about Exeter Startup Weekend. A weekend where with the helpful guidance of experienced mentors like Michelle Law you can help you take your idea and turn it into a business in a weekend! Powered by Google and hosted at the Innovation Centre Exeter University, this is the place to meet great people, learn something new, and launch a business in a weekend. Are you an entrepreneur? Do you want to do something but don’t know how to begin? Ever had an innovative idea to not known what to do about it? Got a project up your sleeve but don’t know how to develop it? Need a team to help you move forward? Go to Exeter Startup weekend The clock is ticking. You may only ever get one opportunity as good as this, grab it! I asked a business mentor recently what to do when you have a head full of ideas and can’t get them out? He said do something! Well, now is your chance what are you waiting for? Lots of people like you! entrepreneurs, geeks, techies, brilliant minds, experts, inventors. You will be in your element and among your peers. There will be plenty of pitches and ideas. No one will consider your idea too off the wall. The collective talent in the room will be bristling to show what they can do to help your idea to fruition. On Friday you’ll pitch your idea in a minute with the chance to collaborate and develop a team to work on it. Throughout Saturday and Sunday you’ll develop an actual business or prototype a real product! On Sunday evening you will present your product and launch your business. In three easy leaps you’ll be ready to go! And there are prizes too! Sign up now? Because this is for doers rather than consumers or curators. Startup Weekend is the jewel in the crown of events. It’s about putting your money where your mouth is, throwing your idea out there, developing it with a team and watching it grow. Never in Exeter has so much talent and help from so many been available to entrepreneurs in one place at one time. It’s not that these support services and co creators don’t exist in Exeter; indeed the Innovation Centre itself contains many such brilliant people. It’s just that they are normally much less easy to access.